Hypnotherapy is a safe relaxation technique which allows children and teenagers to release deep-rooted negative beliefs which may have been picked up from television, media, school or family and friends. These bad feelings can manifest in the child causing bad habits such as nail biting, anxieties, worries or low self-esteem. Often children worry about events from the news such burglaries or murders. These concerns can build up in their minds to causing a fear of it happening to them or their family. Boys and girls from an early age are influenced by body images in the media and begin to aspire to look a certain way. This can mean they compare themselves to others often leaving them feeling insecure about themselves. Added to this is exam stress, peer pressure, parent stress, sibling rivalry and feeling they don’t fit within the family. which can really affect their performance and confidence. Hypnosis is a great way to get children back on track with their thinking allowing them to feel good about themselves and the environment they live in. Up to the age of 5, all children are in a kind of hypnotic state where they believe what they are told as the critical filter in their mind has not developed. This means every time a child is told they are naughty it is forming part of their core belief system that will shape them for the rest of their lives. Parents do their best to be positive but there will still be some things that negatively program children. Even older children and teens often accept what they are told as the truth which can damage their confidence. Hypnotherapy is used to treat problems such as a fear or worry but also can be used to enhance and improve study, exam success, sports, singing and dancing performance. A granny can innocently say how a child is chubby. This can set a belief of being fat in the mind of the child which can trigger a life of yo-yo diets or eating issues. A teacher may tell a child they are not good at a particular mathematical sum. This can knock the child's confidence with mathematics for the rest of their school life. A child that is constantly pushed to work harder or perform better by over keen parents can push the child into a life of never being happy or satisfied with themselves. Hypnotherapy allows these negative beliefs to be released allowing your child or teenager to get on with living a full and rewarding life. 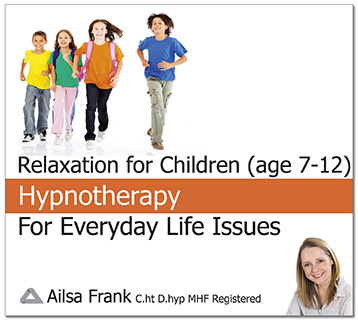 Almost every child can benefit from hypnotherapy. Many children or teenagers begin to develop physical issues such as tummy pains, headaches, migraines or fatigue from stress. Once symptoms have been checked out by a doctor but no cause is found hypnotherapy could be the answer to releasing the emotional issues which may be causing physical pain. Often during a hypnotherapy session, the root cause will not be discussed by the child but during the session, I work through a series of exercises which will put everything back into perspective and back in place so they can feel comfortable being themselves. One little girl I saw who had tummy pains which kept her from going to school were fixed with hypnotherapy. Her GP couldn't find a physical problem which meant it was probably a stress or worry which was causing it. After one session of hypnotherapy, she was back at school and happy singing at home playing with her sister. The session allowed her to let go of the fears she had about her new school and helped her to feel at ease about fitted within her new class. She was unaware before the session that she was worrying. Once the worry released and she felt safe at school the physical pain dissolved. Children pick up your fears and stresses so the first thing you can do is be aware that your words and actions will be influencing them on a daily basis. I recommend my book Cut the Crap and Feel Amazing which has lots of advice and techniques for yourself to use with your children. Also be selective in the material your children see on the television, newspapers, magazines, internet and the way you react to them. Childen may appear to be unaffected by scary programmes but they may be lying awake worrying about death, monsters, burglars or the world ending through global warming. It is common for children to be troubled by nightmares which they keep secret from everyone. Children want to please parents and often do things they do not like just to make a parent happy, make sure you teach them to be themselves and have their own ideas about what activities they want to do. Learning to make a simple decision at an early age will teach them the skills they need to be able to make decisions as an adult and have confidence in their own opinions and choices. A simple decision on what to wear or which after-school activity to do as a child will grow confidence in them to make the right decision on which property to buy and which job to take when they grow up. You learnt your parenting skills from your parents or carers some of which will have been good and other parts will not have been for your benefit so be aware not to pass on the negative traits to your children. An 8-year-old girl who came to me about anxiety turned out to be worried about burglars. When I asked her 'why' she told me that her Mum was constantly checking the doors and windows were locked as she feared the house would be broken into. From the parent's point of view checking the doors was a natural thing to do but from the child's point of view, the mother's nervousness around the task had stressed the child who now no longer felt safe. It is easy to see this from this example but in everyday busy lives, it is not so easy to identify the problem. Teach your children to cook. I believe one of the most rewarding experiences for children is cooking and it is an important life skill for their good health. If you can't cook yourself then join a class together. All children want is quality time with parents. If you have more than one child make arrangements to spend time individually with each one this will bond your relationship forever. "I was made to learn an instrument as a child so you will have to get on with it as I did" You hated it so don't make them do things they hate it will cause resentment and will damage your relationship when they grow up. "My son hates martial arts but it is good for his confidence." This will knock his confidence as he needs to do something he believes in and do it for himself, not for you. Learning to be hurt by knocks and be thrown to the floor is only confidence building if the child enjoys it otherwise it is just terrifying. "You are so talented you must carry on" Just because a child has a talent for something it is not right to push them if they really don't want to do the activity. Find something they do want to do and they will thrive with a talent they love. Parents fears getting in the way of what is right for a child. The child's instinct is the best judge of all. Listen to your child and hear what they say. "I always use positive language with my children I told my daughter it is not a tumour in your tummy so you can stop worrying." The child never thought it could be a tumour but now she is worrying that it was a possibility, she may lie awake thinking she might get ill. I recommend parents have a hypnotherapy session for themselves to restore balance to their stress levels and get their mind working in a positive way to bring the best out of themselves and their children creating a harmonious home. The biggest influence on your child is yourself and how you interact with the world and respond to life. I recommend parents listen to my hypnosis recordings to offload stress, reduce alcohol, build confidence or feel better about money. M.E. :“Since the hypnotherapy, I have the strength to go out with my friends and my mind is more at ease. I don’t worry about things anymore, I actually feel happy”. Naughty behaviour: "The hypnotherapy helped my son with anger issues and also taught me how to behave towards him and since changing my behaviour my son responds well to me. His naughty behaviour was just his frustration of the expectations of me and we had formed a bad pattern of communication which was making both our lives stressful. Now I am more relaxed he is too and we have fun together." Audition: "I felt really confident during the audition and I got a place. thanks for helping my dream come true." Confidence: "The hypnotherapy has been quite a life changing as it helped me through my exams, helped me with my application for University and gave me the confidence to make new friends." Parent Stress: "Since the hypnotherapy, I am a much more relaxed parent, I am managing work better, sleeping better and the kids are responding to me well. I can see now that my reactions were stressing them. We have a much happier household. The friction between me and my husband has dissolved"
Anger: "My son's anger and frustration with us, life and sport seem to have dissolved. He is much more focused and content, in fact, we all are." 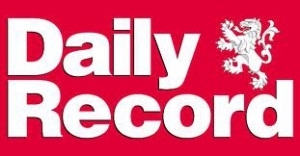 Eating Issue: "My daughter is relaxed about eating healthily and sensibly since the sessions"